The WW90K5413UX is alive with technology, performance and efficiency. Even better is the large door that makes loading and unloading laundry a breeze. Add in the effective deep cleaning and you have one of the best machines on sale. 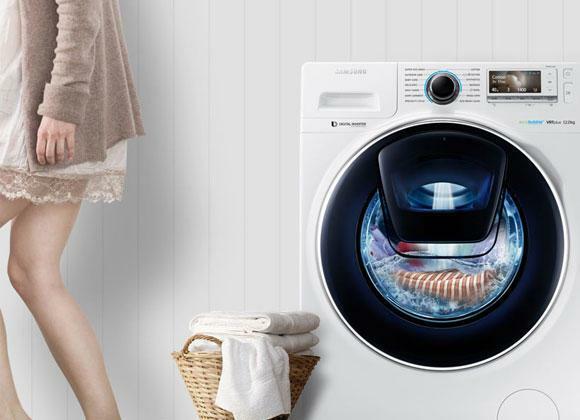 The v is part of Samsung's latest washing machines with Ecobubble technology. However you want to make sure that your product is covered for the future. This is why this washing machine along with many other fantastic Samsung products come with a 5 year warranty as standard. In addition the motor has a 10 year warranty for that added piece of mind. As we are a Samsung Specialist Independent retailer we can offer you the best advice, installation and after service than national retailers. Our installation service covers the whole of Greater Manchester and also many parts of Lancashire. Our prices are constantly monitored to ensure that we are as competitive as national retailers. From the ground up this washing machine is filled with excellent technology, efficiency and great performance. Ecobubble technology is one of the technologies that help you save a huge amount of energy by washing large loads at low temperatures. Before a cycle starts, the unique bubble generator starts working. It uses air and water to generate bubbles that dissolve and activate the detergent, so it quickly penetrates every fibre and fabric and removes dirt and stains easily. This Samsung washing machine features AddWash which allows you to add extra items to the wash during a cycle. Also controlling this appliance is now easier with the large LCD display which lets you know what wash program is selected and also displays information about the cycle during operation. The specification and technology list of this Samsung washing machine is pretty much endless. We are confident it will match virtually everyones needs for now and into the future. 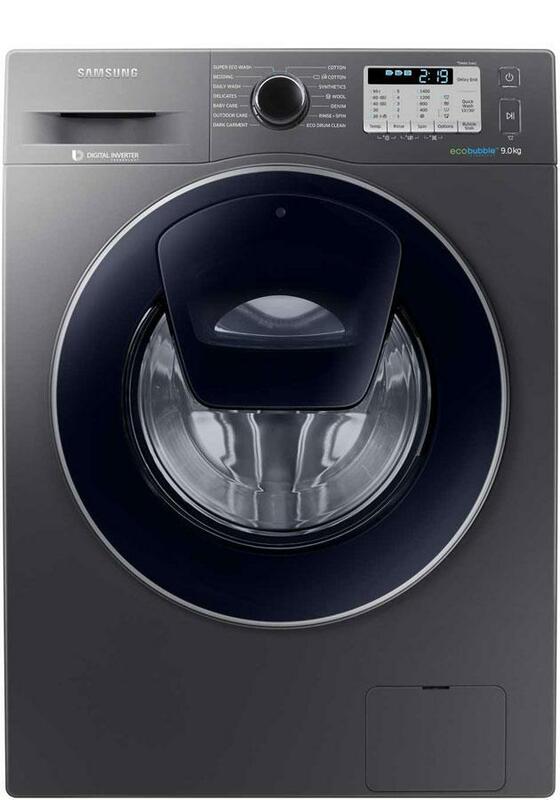 A demonstration of this washing machine is available at our Bolton & Rawtenstall stores.